As a small business owner, it’s important to protect your business, staff and assets. One of the best ways to handle workers’ compensation claims is to have the right insurance policies, including workers’ compensation insurance. Here are three things that you should keep in mind if you ever face a workers’ compensation claim. Understanding the workers’ compensation process can better prepare employers if a staff member is injured. You shouldn’t have to lose sleep worrying about employees getting injured and filing a claim. This is why safeguards like insurance are put into place before accidents occur. 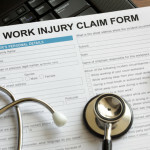 In the state of California, an injured employee must file a claim within 30 days of an accident. Once the injury is reported, business owners can submit this documentation to their insurance company to begin their part of the process. Your insurance provider will take over all of the necessary steps for reviewing the employee’s case. This may involve third-party medical examinations and a hearing to review the details of an open claim. These steps will help determine if the injury was sustained in the workplace. If so, the claim will move forward with a settlement to the injured party. As an employer, if you can understand what to expect during the workers’ compensation process, you won’t be scrambling to ensure that you’re in compliance if accidents occur. Workers’ compensation insurance is even more pertinent if you’re an employer in California. California workers’ compensation laws can be stringent, and if you have employees, they should be provided workers’ compensation benefits. California law mandates that workers’ compensation benefits be posted for employees to view, and insurance must be put into place with a licensed provider. If you’re a large company or you own a business in an industry in which onsite injuries may be more likely to occur, consulting a lawyer on a regular basis can give you peace of mind. When workers’ compensation insurance is utilized, employers cannot be sued at a later date since your employee already accepted compensation for any injuries. It’s important to act fast if a staff member files a workers’ compensation claim. You might be worried or feel unequipped to deal with the situation, but calling your insurance agent for advice can help. Your employee will need to be given the right care, time off and have their workers’ compensation case go through the appropriate channels for resolution. If you think you might be in a situation involving a potential workers’ comp situation, it’s a good idea to consult with your workers’ compensation insurance representatives to make sure that you take all of the right steps in the process. Workers’ compensation insurance claims don’t happen every day, so you shouldn’t be expected to understand the ins and outs of a specific case that happens. Having the right workers’ compensation insurance and legal team behind your business can protect you and make the workers’ compensation process go smoothly. 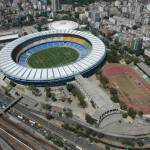 Is Your Small Business or Company World Cup Ready?